Sometimes for reasons of illness, poor health or simply lack of time a garden will fall in to disrepair and rapidly grows out of control. 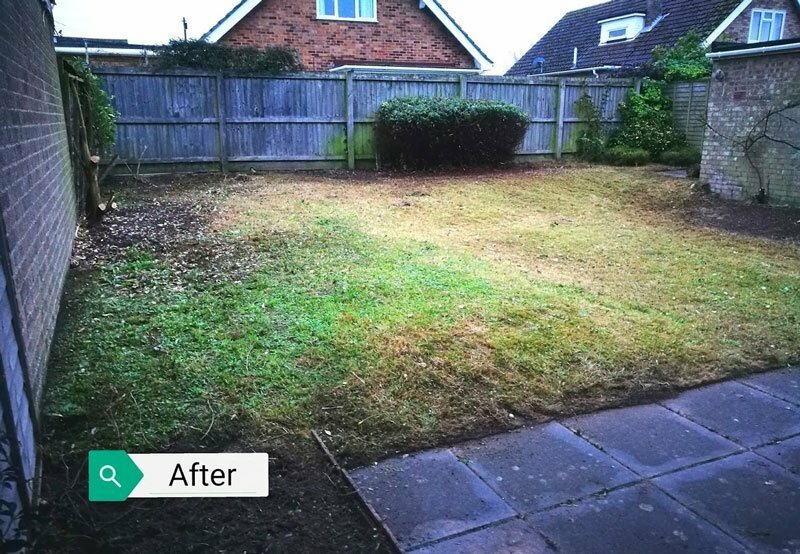 If your garden needs clearing, whatever the reason, Balanis can help. 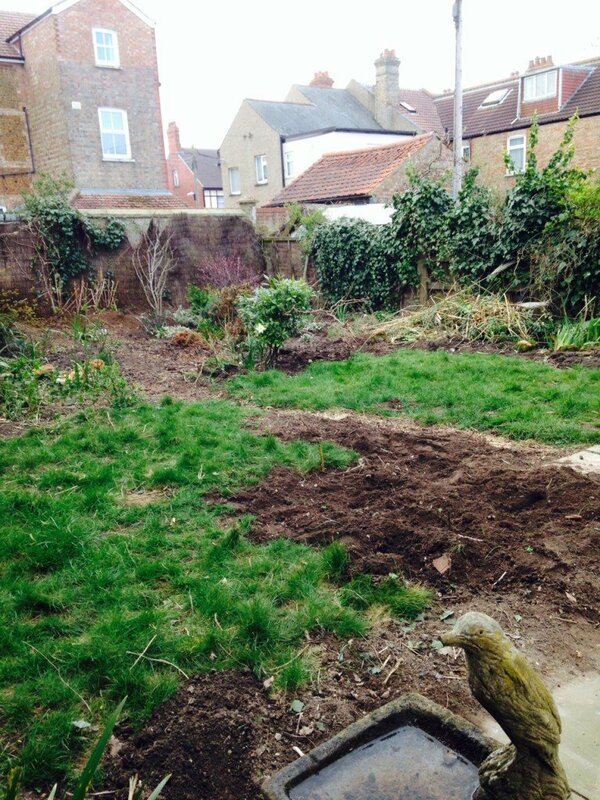 We have cleared gardens of all sizes back to a manageable condition. 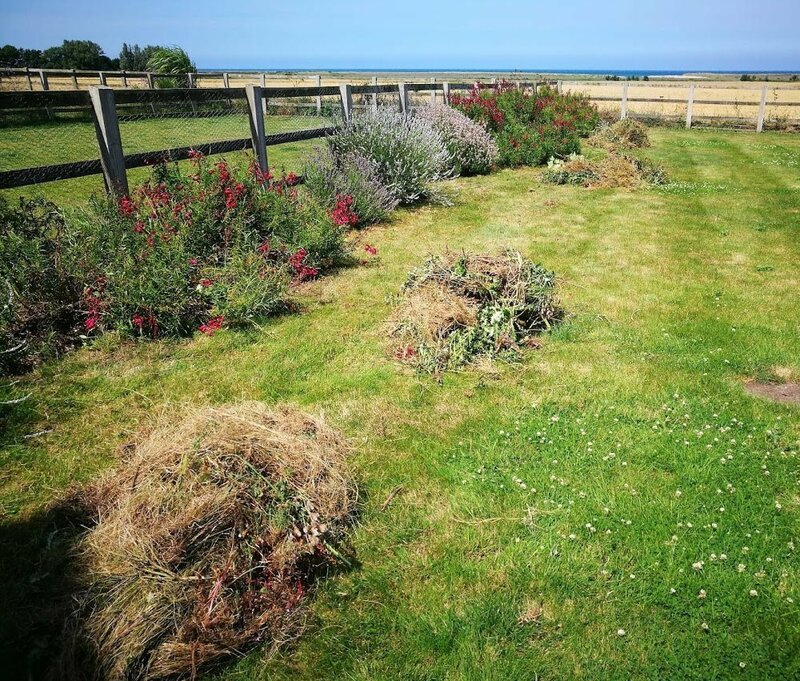 Balanis offer a garden clearance service for residential and commercial premises in North West Norfolk. Our main customer base is Hunstanton, Heacham, Snettisham & Dersingham and then along the coast to the coastal villages of Titchwell, Holme, Brancaster, Docking etc. However, we are more than happy to quote outside this area. All to often the purchase of a new house may take several months. In this time the gardens, if neglected, can become overgrown, unloved and generally untidy. Balanis can sort the weeds from the shrubs & perennials and reclaim your new garden. Once finished it’s up to you whether you manage the garden yourself or recruit Balanis to continue with regular and reliable garden maintenance. 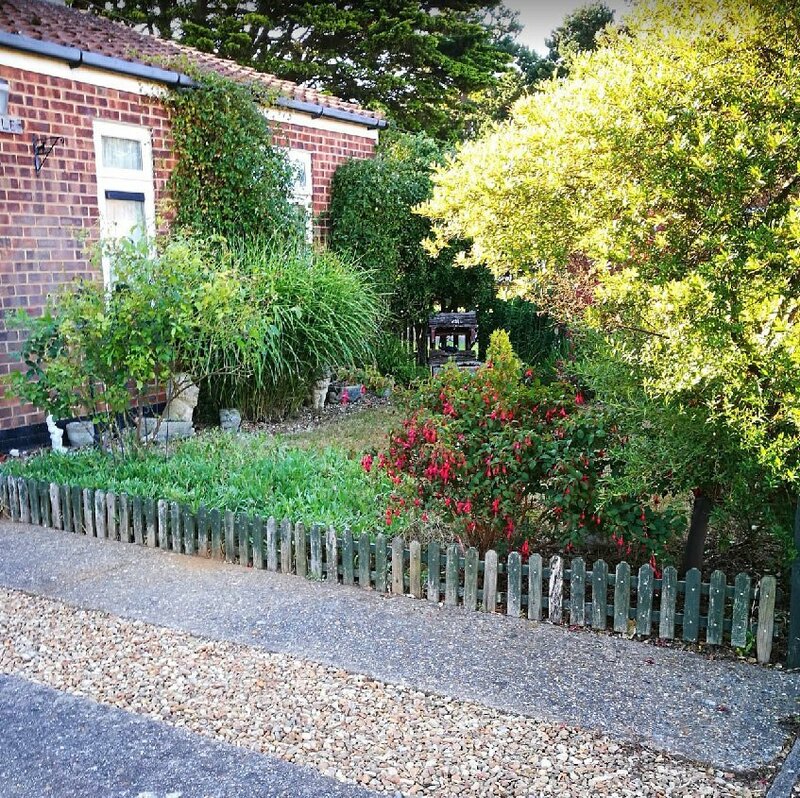 After Clearance – the rear garden is looking much tidier. 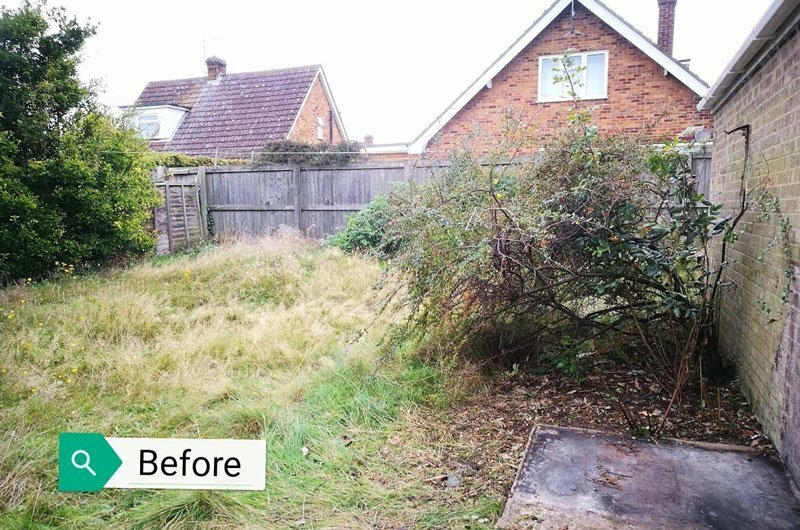 This customer needed some help getting her neglected front garden back to something she can manage at a later stage. Balanis cleared all weeds from shingle driveway and sorted the weeds from the lawned area and flower beds. 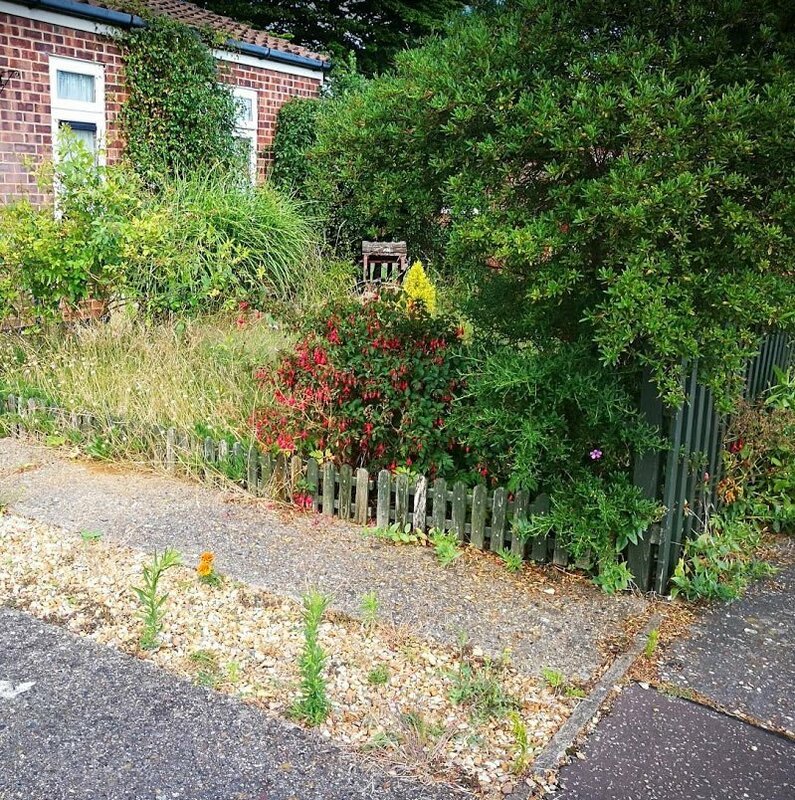 Front garden overgrown and in need of a garden clearance before a maintenance programme. Sometimes, especially with holiday homes and seconds homes, a garden just suddenly gets a bit out of control. Balanis can help you to get on top of the garden making your maintenance throughout the year that much easier and more pleasurable. Let us do the initial hard work to clear the main weds, making the garden easier to maintain throughout the year.